Who May Reopen a Compact Case? Receiving state compact office users can reopen a case any time that compact case’s status has the value CLOSED. Reopening is disallowed any time that a compact case’s status has a value other than CLOSED (e.g. WITHDRAWN). Make sure the 'Show historical cases' box is checked and then click the "Reopen" button. Everyone associated with the case receives an email notification. NOTE: If the associated user accounts have been deactivated, the Compact Designees in the state of the deactivated users are set to the responsible PO. 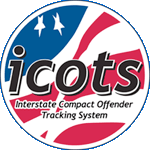 More information on reopening compact cases is available in Appendix B, page 246, of the ICOTS Users Guide.